This book argues that we are witnessing the emergence of 'commercial democracy' in which public relations, promotional culture and the media play a new, central role. As the conventional democratic promise of political representation loses traction with the public in many countries, commercial culture steps into this vacuum by offering mirror forms of democracy. Commercial democracy promises representation, voice and agency to the public and in doing so creates new forms of social contract. 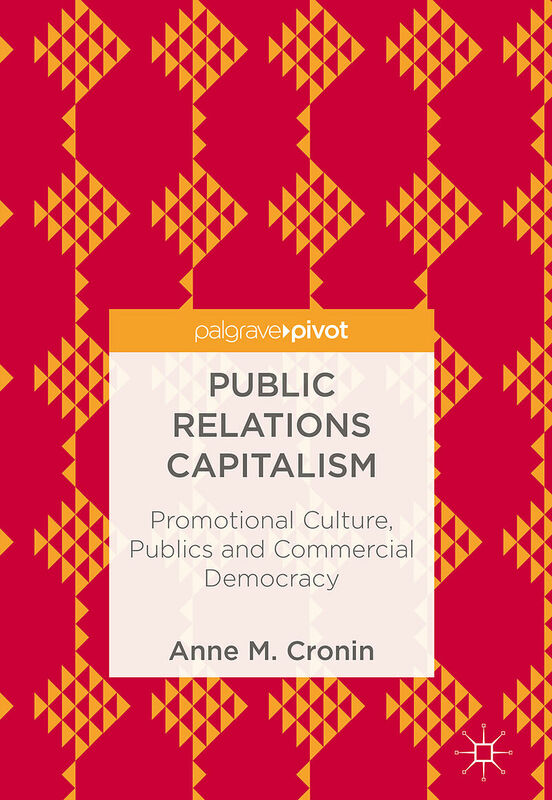 Based on empirical material, this book examines the Public Relations (PR) produced by corporations and communications produced by charities in an intensely mediatized society. It presents a novel analysis of the shifting significance of brand and reputation. It analyses the ascendancy of commercial speech, PRs' relationship to post-truth politics, and the transformation of cultural intermediaries into 'social brokers'. As PR and promotional culture come to inhabit the realm of the social contract and new forms of politics, 'the public' and the very idea of 'publicity' are transformed. 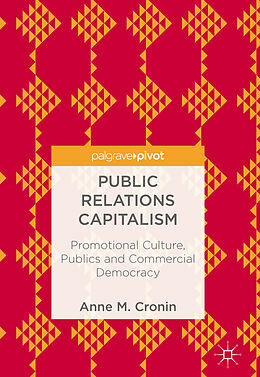 Anne M. Cronin is a Reader in the sociology department at Lancaster University, UK. Her most recent book is Advertising, Commercial Spaces and the Urban (Palgrave, 2010). 1. Introduction .- 2. Public Relations, Publics, Publicity: Neoliberal Capitalism's Media and Mediation .- 3. Commercial Democracy and a New Social Contract: Brands and Corporate Reputation as 'Commercial Promises' .- 4. Charity PR and the Production of Social Values .- 5. Conclusion: Promotional Culture, PR as Commercial Speech, and the Politics of Lying .